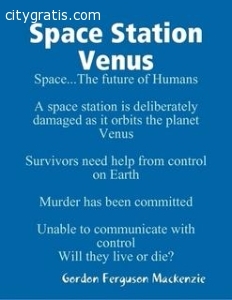 This is a story about a space station orbiting the planet Venus. Its job is to change the atmosphere of the planet, allowing Humans to inhabit it. Not everyone agrees with this. Someone has been put on the space station to stop this happening: a ruthless person with no concern for anyone. A person who will do what ever it might take to carry out his evil mission, by killing crewmembers - and if necessary destroy the space station, by blowing-up its nuclear reactor. Available to download. The book is on Lulu.com and itunes. Also on ibooks and Barnes & Noble, and also on Amazon plus Kobo and Scridb, plus Adobe Digital Editions. 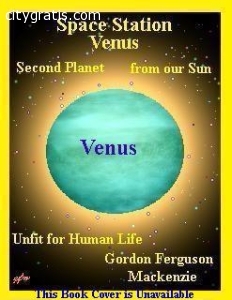 You can read a sample of this book at the internet sites above. I hope you read & enjoy this story.